You are currently viewing the Powerhouse tour pages. 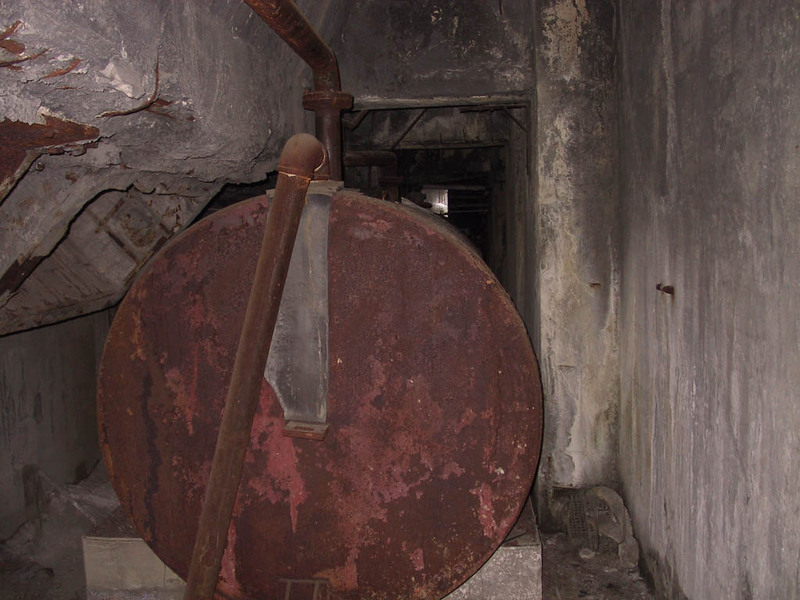 On the way to the space underneath the actual boilers, one finds a small funny looking tank. 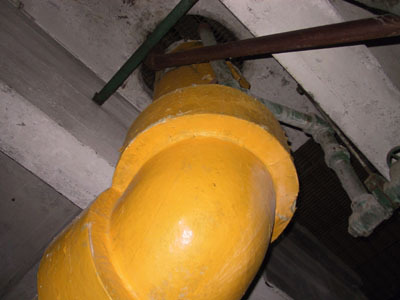 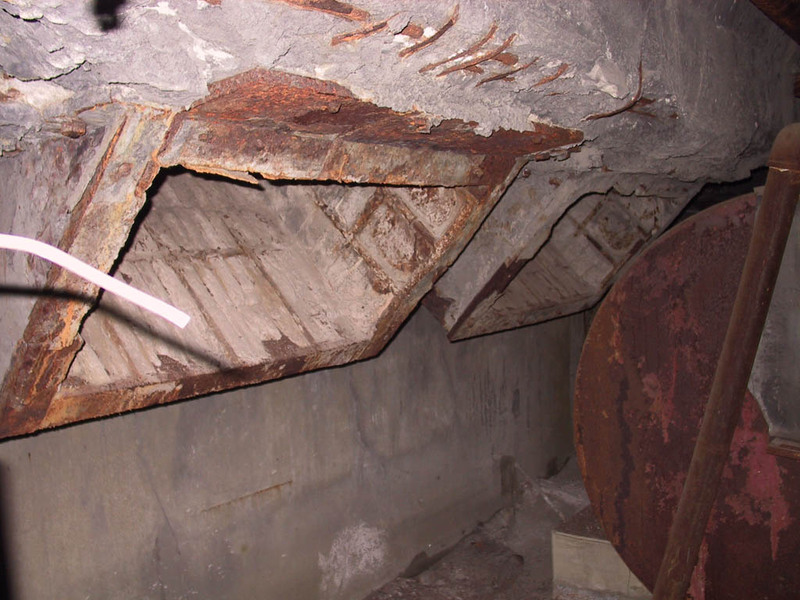 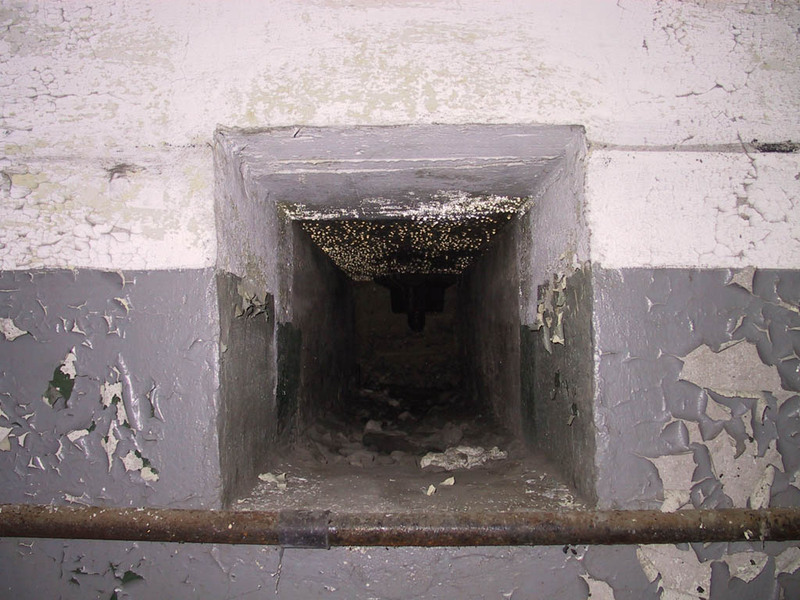 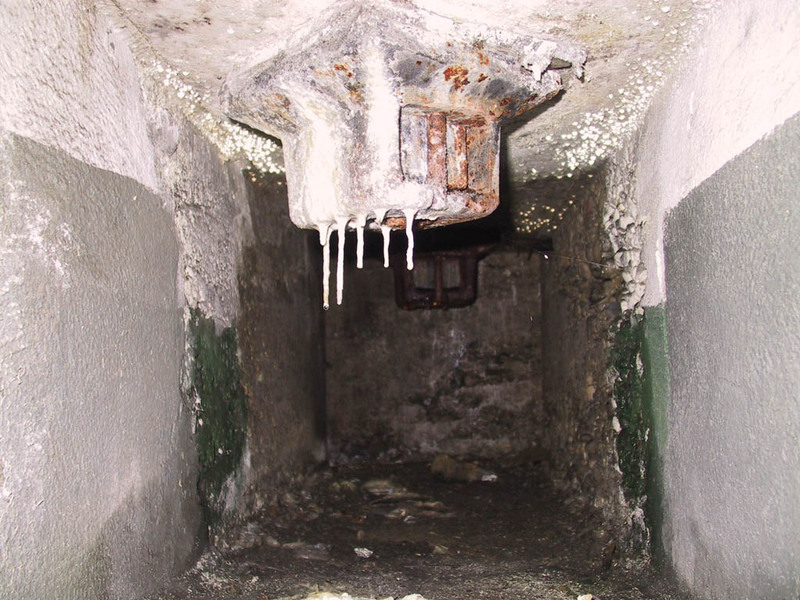 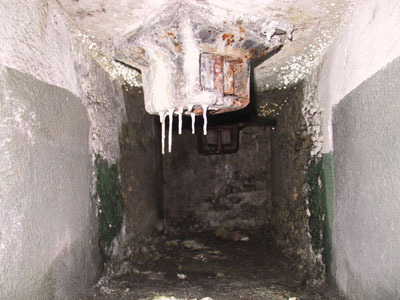 Behind/beneath a boiler, one finds this odd looking chute. 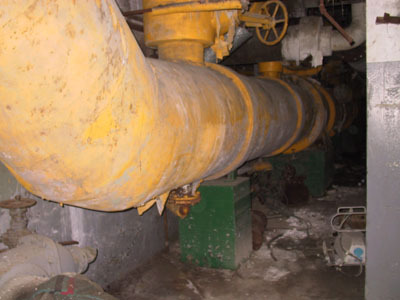 And a very big steam pipe, which is much larger than it looks in the picture. A picture of the same mammoth steam pipe, taken from a position a couple feet away from the previous photo (I really like this pipe, ok?). The pipe goes upstairs through the ceiling to feed an electrical generating turbine (which is no longer present - it must have been sold or scrapped). 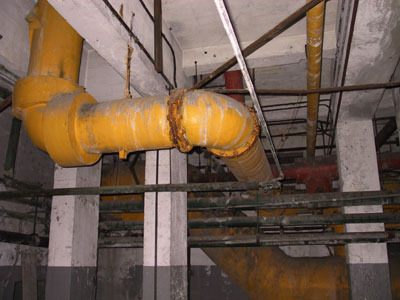 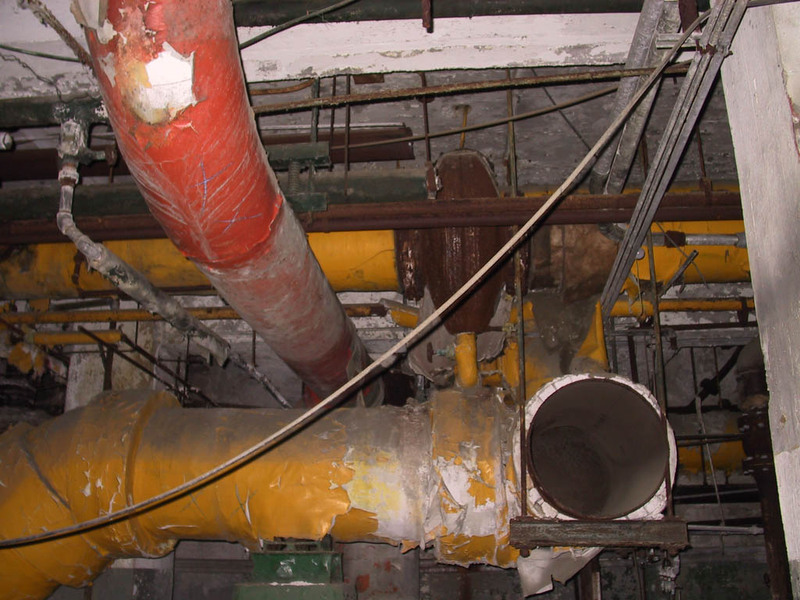 The steam pipes sure go all over the place in this building! 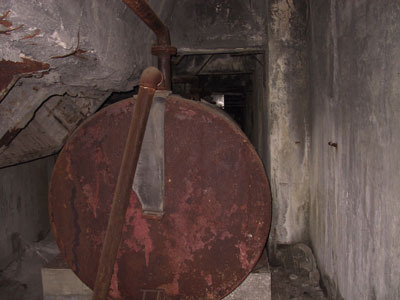 A hole in the side of the boiler provides access to some strange looking boiler apparatus. Looking farther into the hole, one sees more... stuff. 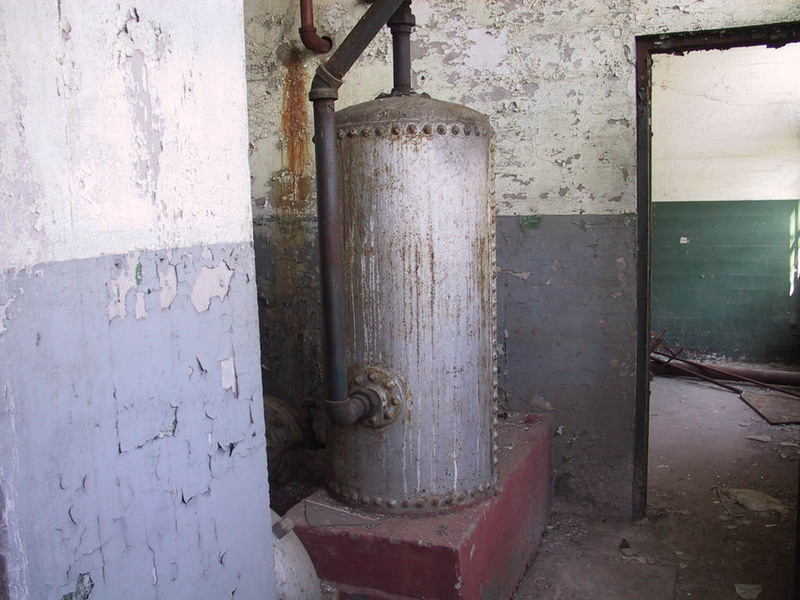 Perhaps this had something to do with removing the ashes back before the boilers were converted from coal to oil/gas. The large steam pipe abruptly terminates. I wonder what that red pipe above it was for. 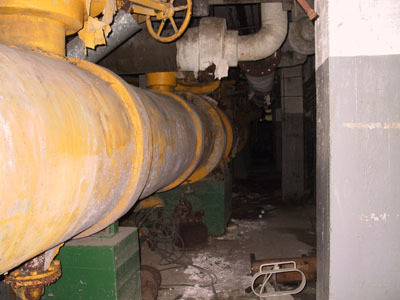 Proceed to the electrical switchgear area.